Exclusive! 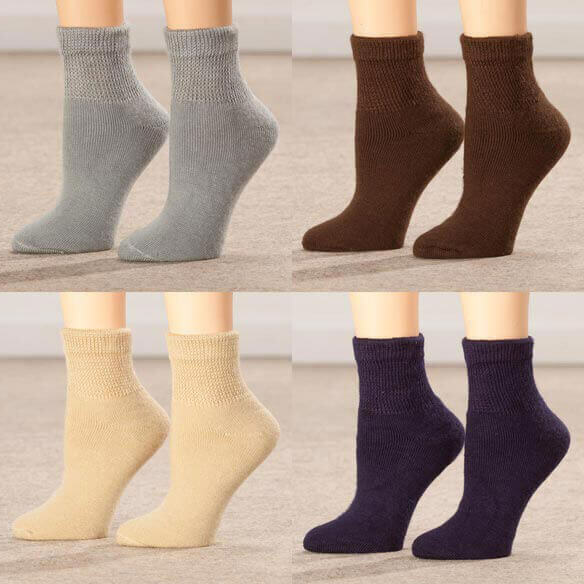 Luxurious Silver Steps™ 3 Pack Quarter Cut Extra Plush Diabetic Socks keep diabetic feet dry and comfortable with a non-binding quarter cut design. Moisture wicking quarter socks help feet stay warm, dry and free of infection. 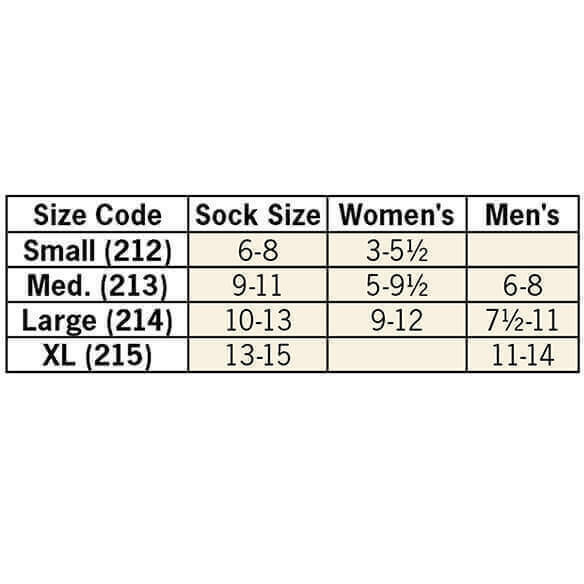 Includes 3 pairs of quarter cut diabetic socks perfect for men or women. I will definitely buy these socks again. These are fabulous for diabetics, especially with neuropathy and experiencing swelling. There are no irritating seams and they are so soft. I have lymphedma in my legs and they give and don't bind with the additional swelling. I will definitely buy them from now on. Bought the gray which is a blue gray. Very soft and cushioned. Have swelling in feet and ankles and this is the answer. Quality of sock is tops. Have ordered other colors and also socks for family. members Will continue to buy as long as available. These should be loose enough to allow my feet to breathe. they are easy on diabetic legs . My husband finsd diabetic socks very comfortable and thought we could try the quarter cut. Wide, comfortable socks with odor control. Hard to find! Very soft, and comfortable. They keep feet dry, cool through the summer weather. I use only this style and type of sock. I like the idea of wicking moisture away from feet and the non binding comfort of the quarter sox. Hard to find my larger size in most catalogs. These should fit fine! I have lymphedema and wear compression stockings daily, but I wear socks at night. These seemed like they might expand with my legs and be comfortable through the night. 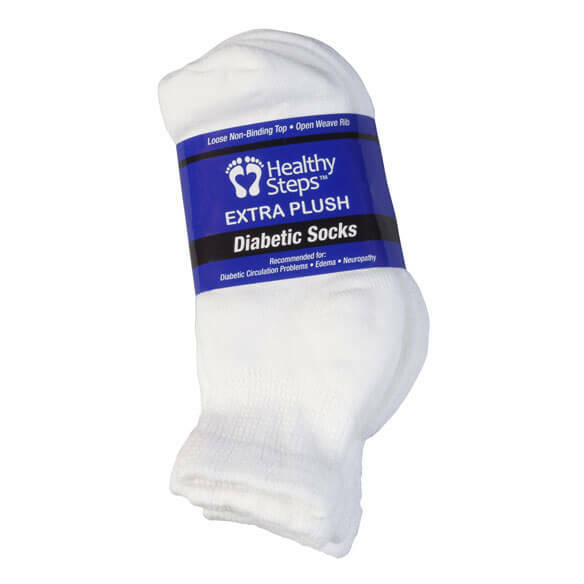 The type of diabetic socks ordered are difficult to find. Wanted something soft for daytime wear. These are perfect! Acrylic socks keep feet dry. Cotton socks cause blisters. My sock are too tights around my ankles after I wash them several times. The doctor told me to order Diabetes socks and I love acrylic fabric in socks. They are very soft and non binding around the leg. My husband has poor circulation and he needs socks that do not constrict his lower legs. they fit so well hard to find good socks for big feet!!!! My sister wears a size 4 1/2 shoe and the small fits great with no extra bunching of material. 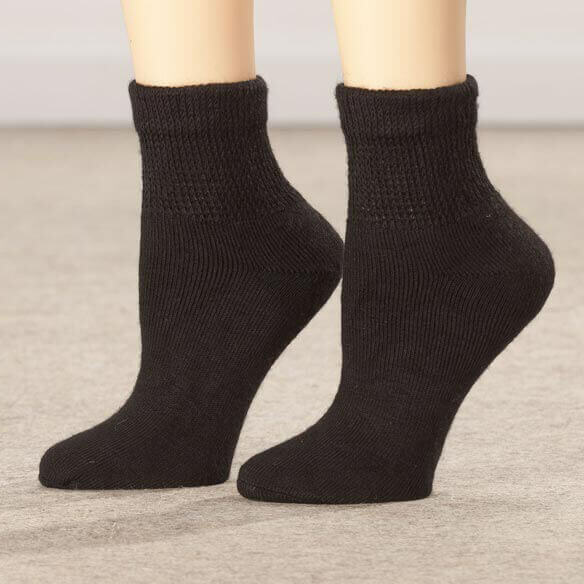 Looking for socks that will not be too tight on my ankles because of edema. Also, really like the range of sizes available because I have small feet. I'm diabetic and want some socks to be comfortable on my feet. Thank you. Excellent value and five star recommendation. I am diabetic, hope these will keep feet warm. I chose these socks because of the comfort of the materials used. Have had them before and like them. 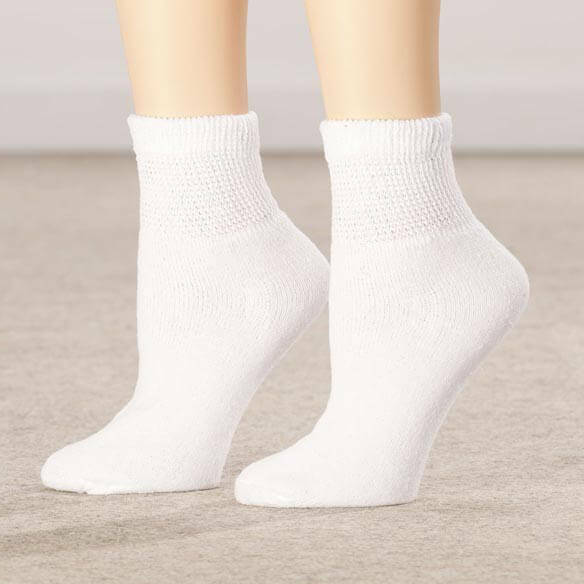 I have Type 2 Diabetes and want more comfortable, non-binding socks. Husband wanted the shorter socks. Same as above. He needs to have good foot protection, non-binding, easy to put on. do you have any size xxl socks? BEST ANSWER: Thank you for your question. Unfortunately we do not sell xxl socks. We hope this information will be of help to you. BEST ANSWER: Thank you for your question. Unfortunately we do not carry this item in that size. We hope this information will be of help to you.